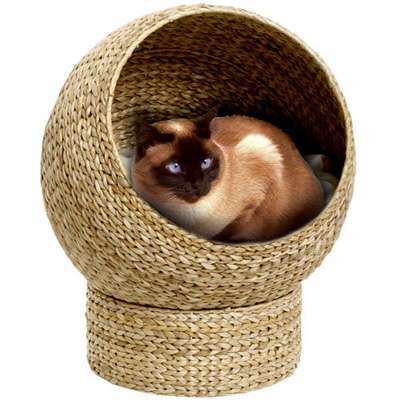 This two-piece cat basket is woven from eco-friendly banana leaves, creating a win-win situation: The cat loves the cozy space and the banana leaf texture and the owner is buying green. 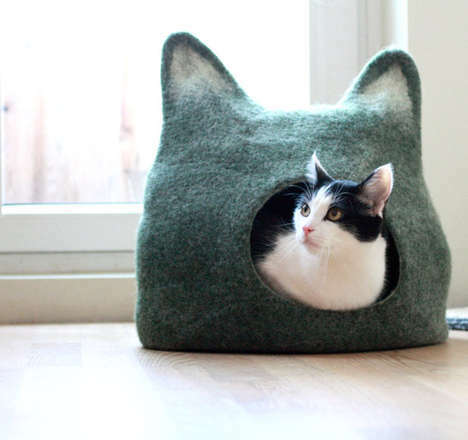 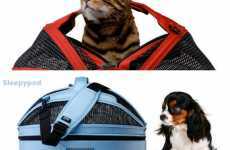 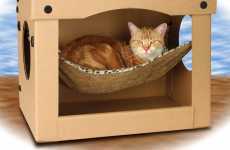 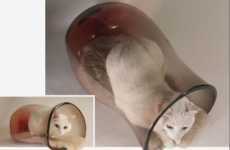 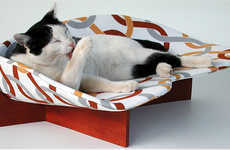 The sphere-shaped bed portion can be adjusted on the base to suit both the cat and the owner. 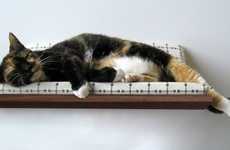 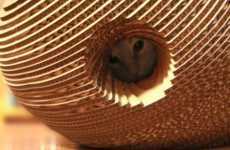 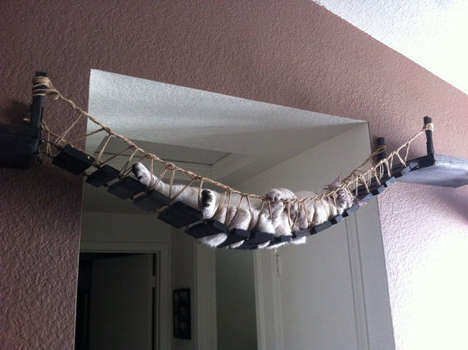 There is also a model that is mounted to a scratching post and one that incorporates even more elaborate features. 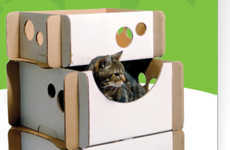 The two-pieced sphere as well as two alternate designs are available at Meijer. 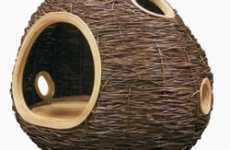 The most elaborate version is available at Zooplus.